South America’s 5th largest country is an amazing travel destination and ideal for adventurous travellers who don’t mind putting up with a few discomforts. 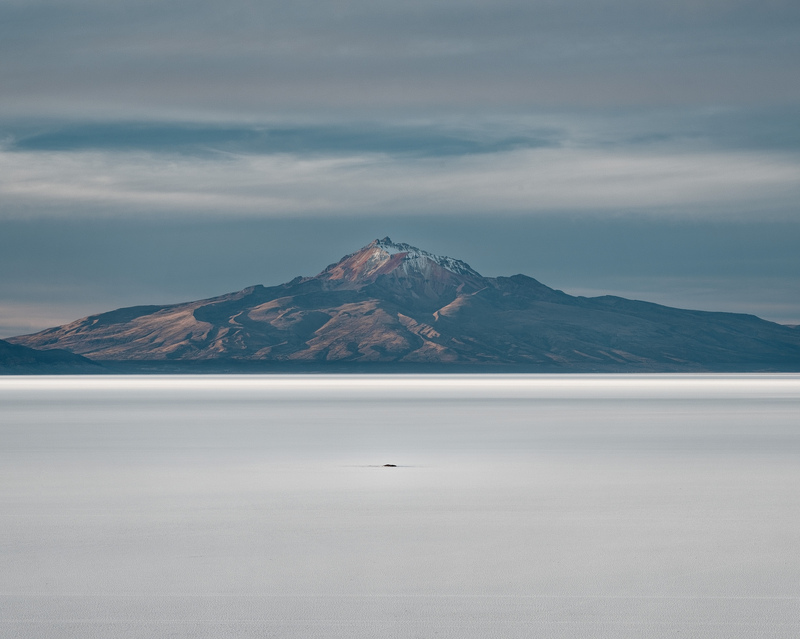 Remote, underdeveloped and home to harsh landscapes and even harsher climates, Bolivia is as rewarding as it is challenging. Home of the formidable Salar the Uyuni, the breathtaking Altiplano, spellbinding Lake Titicaca and some of the best Amazon jungles in the continent, not to forget an enticingly unique culture, Bolivia is a phenomenally surprising gem. One that’s certainly not for the faint of heart and which makes its neighbour, Peru, seem like one of the world’s most developed countries. And that’s saying a lot. 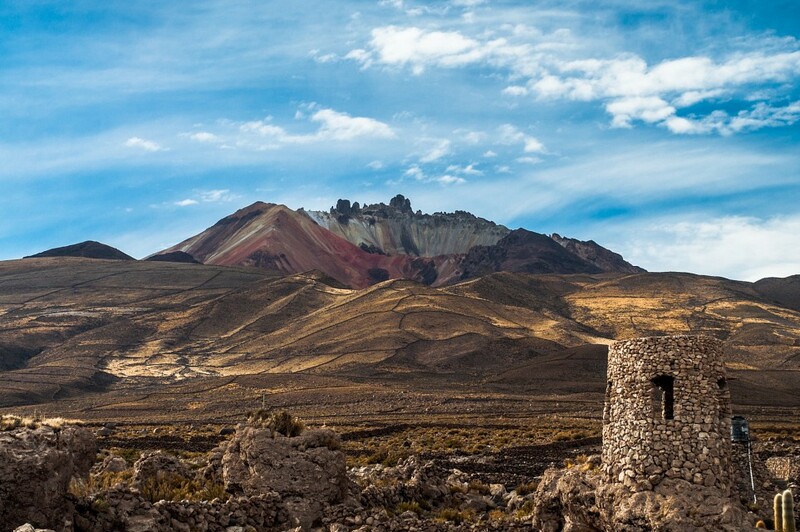 Nevertheless, if you’re after a less visited corner of the Andes, and wish to see a lot in a short period of time, then Bolivia is where you need to head to. Have time up your sleeve and an open mind, and you’ll be surprised at just how mesmerizing this country can be. Like many other South American nations, Bolivia was a well established and civilised ‘country’ well before the Spaniards ever arrived in the mid 16th century. The Tiahuanaco people had been inhabiting the region from at least 400BC and, by the time the conquistadores arrived, had created rather spectacular works of art and architecture. Conquered by the mighty Inca Empire briefly at the start of the 1500s, they too fell to the much more powerful and armed Spaniards. Native Bolivians didn’t fare too well once the Kingdom of Spain established its reign over their country, especially once abundance of silver was found in the region of Potosi. Many were victims of the slave labour established to mine the mountains and those who weren’t forced to work in mines, perished thanks to the myriad of European diseases which the Spanish brought over. Pent up anger and frustration eventually spawned the Great Bolivian Rebellion (Rebellion of Túpac Amaru II ), an Indio-based uprising which took place in the 18th century lasting a short but very bloody two years. Just a few years later, and this time led by locals of Spanish descent, Bolivia once again made the move for independence, as did all other countries in the region. The occupation of Spain by Napoleon, and the deposition of the Spanish Royal Family, was a catalyst for the removal of the colonial oppressors. After two decades of revolts, Bolivia became an independent nation in 1825. The leader of the unrest, and the one accredited with its success, was Simon Bolivar. The new country was hence named after its most famous and popular revolutionary. Plagued by decades of military dictatorships as was the case for its neighbours, Bolivia has faced an arduous slog to see the 21st century. Still, nowadays, it is one the South America’s poorest countries and, even more worryingly, one of its most politically unstable. Protests are a weekly occurrence in its major cities, although things seem to have improved since President Morales was elected in 2006. The nomination of this left-wing politician of native descent was a major turning point in Bolivia’s struggle for success, or so many locals believed. He was the first president of indigenous background which has come to power here. Although conditions have only marginally improved for your average Bolivian, even the Financial Times named him one of the world’s most popular leaders. President Morales is currently serving his third term in office. 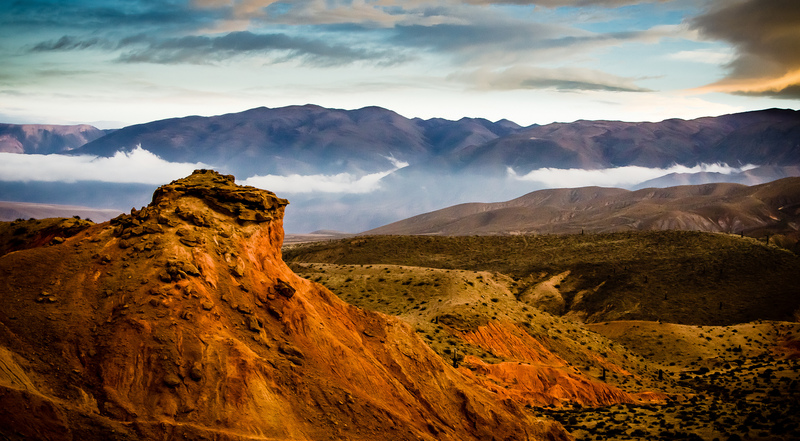 Bolivia is a remote, land-locked country and the one where you’ll spend most of your time at elevated altitudes, as this is where most of the country’s highlights are found. The stunning Bolivian Altiplano, on the high Andean plateau, is one of the most popular highlights in the continent, let alone the country. This is where you’ll find the spectacular Salar de Uyuni, the largest salt flats in the world, as well as enticing La Paz, historic Potosi and amazing Lake Titicaca, the highest navigable lake in the world. Mountaineering, hiking and plenty of cultural experiences are the highlights of this region. Bolivia’s tropical lowlands are one of the hardest places to reach deep in the Amazon basin, but also one of its most enticing. Head to Rurrenabaque aboard a light plane, land on a strip of grassland, jump aboard a 4WD and then a canoe for half a day, and you’ll find yourself in the heart of pristine rainforest. Here, you’ll get to see sloths, caimans, and get to swim with pink-bellied river dolphins. The Madidi National Park is right next door, and is considered one of the most biodiverse natural reserves on earth. 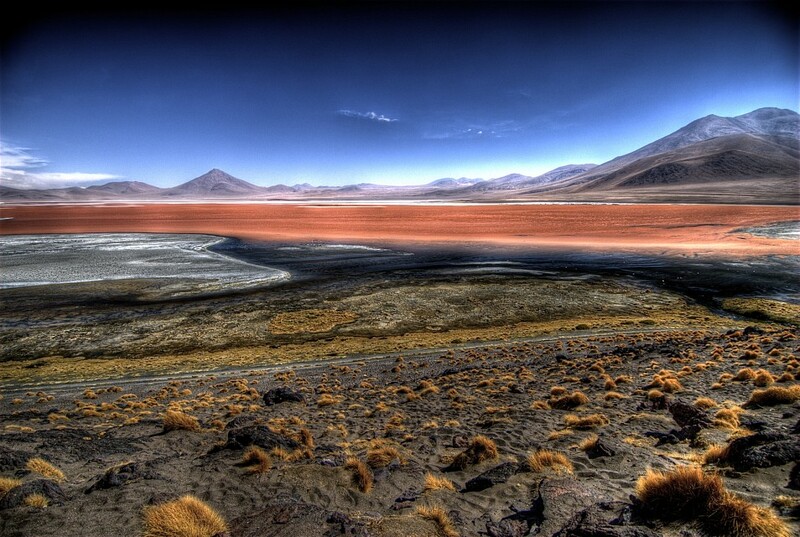 Fantastic, dramatic landscapes and an exotic Andean culture are the primary reasons people visit Bolivia. Here are the country’s primary highlights. 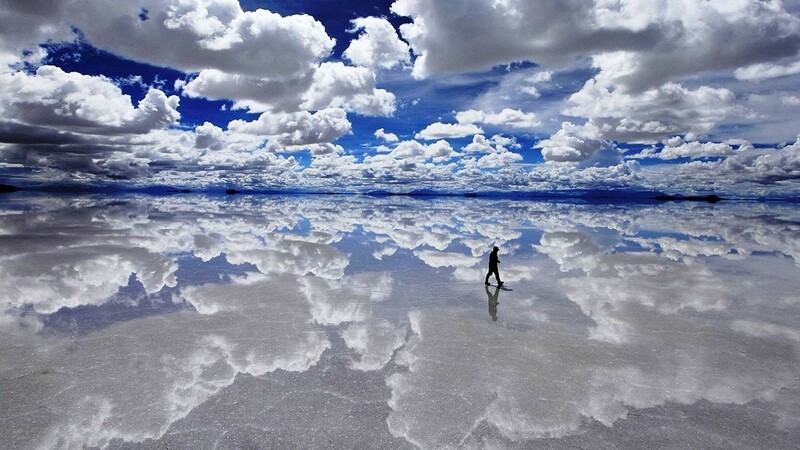 The formidable Salt Flats of Uyuni are an incredible spectacle of nature at its best, and found on the south-western corner of the country, right near the border with Chile. 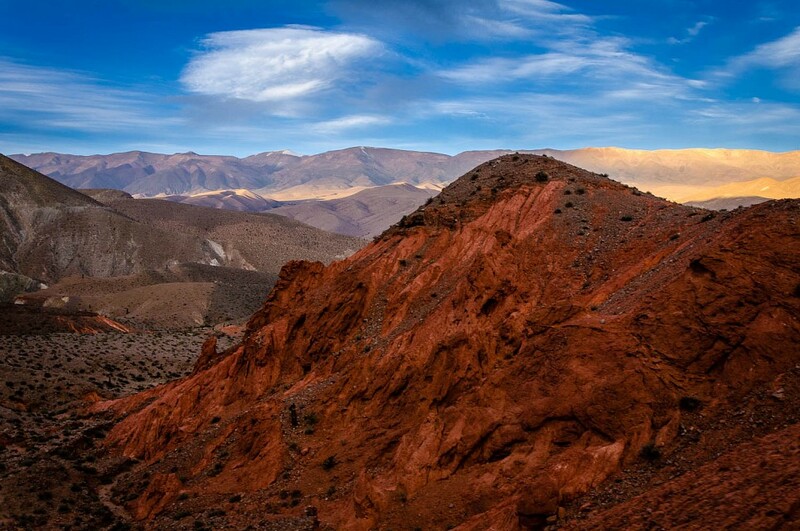 Take on a 4-day traverse with a 4WD and make your way from Uyuni to San Pedro de Atacama, crossing endless sparkling white salty plains, and an awe-inspiring Altiplano brimming with colourful lagoons, geysers and surreal wind-carved rock formations. 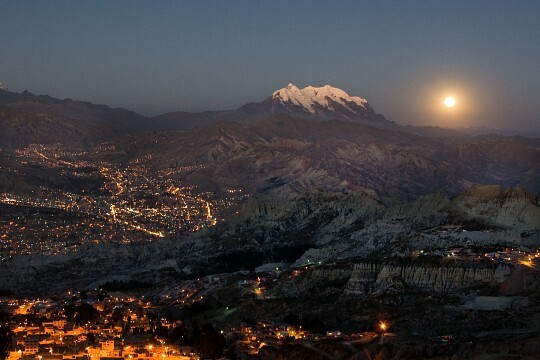 The unofficial ‘capital’ of Bolivia, this breathtaking city sits at an altitude of 3,650m and brimming with fantastic attractions like the Cocoa Museum, Witchcraft Markets and infamous San Pedro Prison. F travelling through South America overland, this will be your gateway to the country, and the best place from where you can explore the southern Altiplano as well as the Amazon basin. Plan to spend an extra day here and you can take on Death Road, dubbed one of the world’s most dangerous roads, by mountain bike! Accessible by air just a few months of the year, due to flooding of the Beni River, Rurre is the base for rainforest explorations in one of the most remote regions of the country. From here, head into the Madidi National Park, part of what is one of the world’s largest protected natural reserves. The headquarters of Bolivia’s eco-tourism scene, Rurre is where you’ll come across a plethora of agencies offering multi-day adventures in the heart of the park, staying in jungle lodges, eating local specialties and touring on foot and by boat. Visiting during the months between April and October is highly recommended. Although visiting this astonishing lake is best done from the Peruvian side, Lake Titicaca still rates as one of Bolivia’s biggest attractions, as half the lake still lies within its borders. If you do want to rough it out, head out to Copacabana (nope, not the famous Copacabana Beach) and spend a few days in this charming little Bolivian treasure of a town. You won’t be able to do very much once you get there, but if you’re after some reclusive R&R it may be the right place for you. The capital city Sucre is a bright and sparkly whitewashed city, home of the best architecture in the whole country, with many stunning colonial-era buildings making up its historic center. This is also the historic heart of the city, and where you’ll find many museums, including La Casa de La Libertad, where Simon Bolivar wrote the first Bolivian Constitution. Santa Cruz is often quoted as being the richest city in the country and, at first glance, it would certainly appear to be. Nicer, cleaner and infinitely more enjoyable to explore than either La Pazor Sucre, Santa Cruz sits at a very bearable 400-oddm in altitude, so sightseeing, hiking (and partying!) is not nearly as painful here as anywhere else in the country. Many visitors choose to enter Bolivia by arriving here first, so as to allow themselves time to acclimatise to high altitudes. On your days off, visit the Los Lomas de Arenas NP to play in 12m sand dunes literally rising in the heart of a jungle, the striking waterfalls at Las Cateratas del Jardin and indulge in some of the best food in the country in one of the many churrascarias for which Santa Cruz is most famous. Modern day Bolivians are an eclectic mix of indigenous Andean cultures, European, and a mix of the two. Traditionalists and conservative, locals are usually more than happy to see tourists, even though they can become a bit bothersome along the well-trodden tourist trail, not understanding that there are only so many souvenirs one can buy. By and large, however, and if travelling overland from Peru, you will not notice any immense variation in culture, customs or behaviour towards foreigners . One of the most interesting aspects of Bolivia is that it is, ironically enough, quite a ‘young’ country. More than half of the population is below 30 years of age, with many seemingly in a hurry to catch up with modernist cultures. An obsession for high-tech gizmos is most prevalent, as is the consequential petty theft of cameras and phones, so keep your belongings under close watch. The most tourist-laden hubs, like La Paz are little meccas for pick-pockets, so watch yourself in big crowds. Aside this, however, there have not been many reports of violent crimes in this part of South America. Traditional clothing and customs are prevalent, especially in the high Andes region. Visit the Witchcraft Market in La Paz and you’ll be amazed to see llama foetuses and all sorts of black-magic ingredients which many locals still use to bury in their new home’s foundations to guarantee prosperity. The recent blossoming of Bolivia’s economy seems to have taken experts by surprised. Whilst all its neighbours are still reeling from the global economic crisis, this little-hoped-for nation seems to be doing the best out of the lot. Quite peculiar, especially when you consider that, for decades, this has been the poorest country in South America. Long a stoic critic of huge multi-national corporations, capitalism and, in particular, the USA, President Morales has turned out to be quite the shrewd leader in recent years. The country is doing better than it has in years, focusing its efforts on nationalizing its biggest industries and, although the poorest in the country seem to barely have an extra grain of rice on the table, a brand new middle-class is emerging in the midst of the poverty. An upgrade of the infrastructure and the exploitation of its masses of natural resources (natural gas and zinc in particular) seem to keep the country on the upward slide. Bolivian cuisine can be both varied and delicious, although discovering it fully does require a little adventurous spirit. Many visitors simply refuse to sample treats from street vendors, surmising they must all be hubs of gastro-inducing germs. This issue is greatly exaggerated by visitors, and many don’t take into account the effects of altitude sickness on one’s digestive system. Most of the time, nausea, indigestion and stomach cramping is not due to the quality of the food consumed. Papas Rellenas: Huge, succulent balls of mashed potatoes filled with all sorts of goodies, like meat, eggs, veggies and lots of spicy vegetables. Salteñas: The Andean version of the famous empanada, these pockets of pastry are filled with meat chunks, boiled eggs, olives, cheese and, yet again, spicy veggies. You’ll also find tucumanas in and around La Paz, which are very similar variations of the pastry-pocket theme. Quinoa: This super-food has gained world-wide fame in recent years and has found itself a spot at the table of many health-conscious people all over the world. Many people are unaware of the fact that quinoa is an Andean grain, and has been an inherent part of Bolivian cuisine since time immemorial. This grain is to Bolivians what rice is to Asians: the ubiquitous staple present in all meals. Mondongo: this delectable dish of fried pork pieces served in a spicy sauce, with corn and mashed potatoes, is best savoured in the area around Sucre. Choripan: This sandwich is proof that the best things in life are usually the simplest ones. Choripan is none other than a chunk of crusty bread with a sizzling spicy chorizo sausage in the middle. That’s it. Salchipapa: This popular snack is sold all over Bolivia, usually from street food carts. A portmanteau of its two only ingredients, salchipapa is a serving of fried sausage strips and chips. Humitas: You’ll no doubt come across vendors steaming pots brimming with parcels wrapped in corn husks. These are humitas, or corn meal snacks usually mixed with sautéed onion and cheese (savoury) or sugar and cinnamon (sweet). No matter what time of year you wish to visit Bolivia, you’ll always find at least one region that is at its optimum best, although if you expect to find THE perfect season for the whole country, you may be in for a shock. Weather and rain patters here are determined much more by altitude rather than seasons, and places likes the Altiplano are never going to be balmy, no matter when you visit. Much like Peru, one must pack for both warm and cold climates if one wishes to move around a bit. From late November to mid-March is when Bolivia enjoys its summer season, which brings heavy rains for the jungle region making expeditions there near impossible to undertake. Temps at high altitude, however, are much more bearable at this time. Cold fronts come up from Patagonia, helping to lower the temps all over the country, including the Amazon basin. This is also the dry season, however, so it’s a much more favourable time to tour remote areas often affected by flooding. Expect brutal winds in the Altiplano, higher prices and bigger crowds, as the Bolivian winter coincides with the European and North American holiday season. La Paz is and always has been the country’s busiest aviation hub, despite the fact that people tend to suffer greatly when arriving in the country at this high altitude. 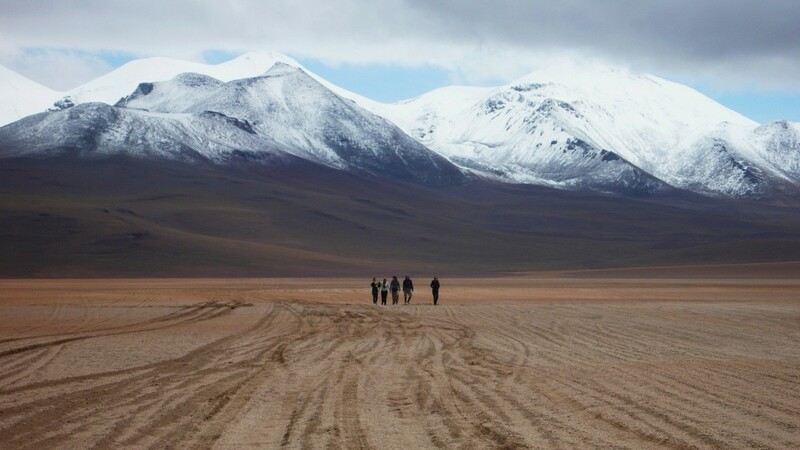 This is the main base for exploring all the far reaches of Bolivia and a great place from where to organise all onward travels, tours and excursions, as this is where the great majority of agencies have their headquarters. A super fun option is to reach La Paz after crossing Lake Titicaca from Peru. The ride is painfully slow but incredibly adventurous. Long-haul bus services connect La Paz with all major cities, but do note that only about 10% of the country’s roads are paved to an ‘acceptable’ level. This means that you must not underestimate the amount of time needed to cover short distances. The most ‘painful’ section of road is between La Paz and Uyuni, a stretch which you will have to undertake to visit the famous Salar de Uyuni. Avoid night buses if you can (as the local buses run in dubious conditions and the drivers tend to keep themselves awake with all sorts of pills) and split up the drive if you have time. It is not unusual for a 10hr drive to turn into a 24hr ordeal thanks to breakdowns, flat tyres and what not. Never plan your itinerary back to back and pack loads of patience along with your woolly hat, scarf and gloves. No matter how worried you are about muggings and attacks when travelling through Bolivia, your biggest danger here is to be involved in an accident on the public transport. When it comes to the public transport in Bolivia, you do very much get what you pay for. Splurge on the most expensive option possible (which is still cheap to Western standards) and you ‘may’ have a semi-comfortable journey. 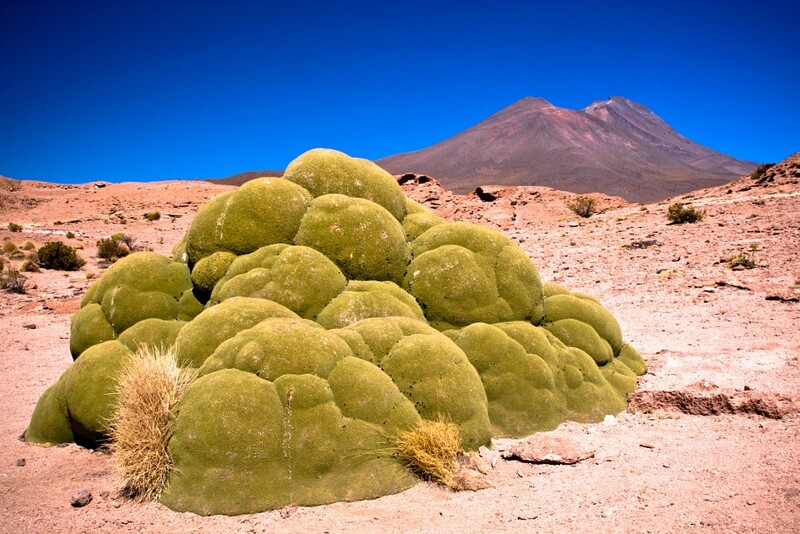 Bolivia is one of the world’s most biodiverse nations. Over 40% of animals call this home and over 23 different eco-regions are found here!